God created the earth, he created Man, and Man created religions, countries and Boundaries but does the flamingo which migrates to India every year from lands far far away have any boundaries? Update: The winners have been announced. Time to scroll down! Do the majestic Himalaya’s which are spread across 5 countries have boundaries? Does the Brahmaputra river which is known by the Yarlung Tsangpo in Tibet, Siang in Arunachal Pradesh, Jamuna in Bangladesh, and Brahmaputra in the Assam Valley have any boundaries? No, but we as humans have divided and created boundaries on this beautiful earth. Boundaries which are only in hearts and minds and not actually marked on earth. With boundaries we have set, we have set limits for ourselves and our peers, its the ones with the indomitable spirit who dare to cross their boundaries and expand their horizons. These people with a stout heart become the stalwarts of their era, our very own Mahatma Gandhi and other freedom fighters expanded their boundaries by learning from abroad the systems which they used to make build India. Believing in the fact that boundaries are only for political functioning and not to stop anybody from spreading their wings, INK 2014 promises to take us on an enlightening journey of expanding our horizons “Beyond Boundaries” this year and exploring the different aspects of life. We, in association with INK bring to you an opportunity to be a part of INK 2014 conference and listen to National and International Influential Speakers at one place. Connect with a blogger who stays in a different country/state/region, it might be an Indian Blogger staying in a different state/abroad or a blogger from a different country, just go beyond your boundaries. An old blogger can collaborate with a young one etc. How the world has changed with people getting to know different cultures from different countries. Share a historical perspective about how travelers like Vasco da Gama, Hieun Tsang used to explore new places and facilitated exchange of cultures and what is the present scenario. Blog about examples of how people are collaborating with people from different places and building amazing products and services. How has technology and blogging helped people explore and meet new people beyond boundaries and learn new things in the process. How you blog and perception of blogging in your respective countries. Get set to explore and expand your boundaries. The blogger who wins gets an exclusive pass worth Rs 50,000 to attend the INK Conference. Next 5 winning blog posts will win passes to the INK Live Conference. * The blogger publishing the blog post will get the pass and collaborating blogger will get a goodie. 1.The blog post should be of at least 300 words. 2.Include the following code in the HTML section of the blog post. 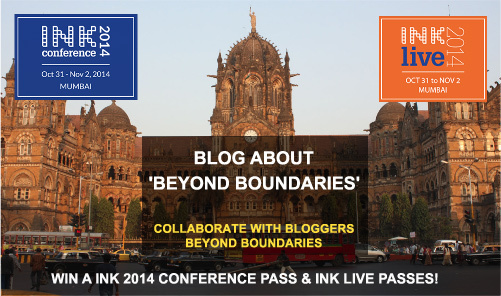 This post is a part of “Beyond Boundaries” at BlogAdda.com in association with INK 2014. 3. Last date to submit the entries is 20th October, 2014 before midnight. Dr Roshan Radhakrishnan wins an exclusive pass to attend the INK Conference. What does ‘Connect with a blogger who stays in a different country’ really mean? I mean, how do we SHOW that a connect exists? 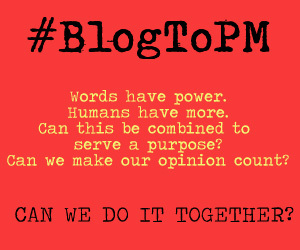 Do we need to submit TWO posts per entry… one each from the two bloggers who are collaborating? Or is it that we write our post but with only inputs from some blogger in a different country? @Arvind “Connect with a blogger who stays in a different country” means that you connect/interact with them, share their Name and Blog url wih us and on your blog, collaboratively write 1 blog on the topics given above. For any further query, let us know. Another unique initiative. Way to go! Where do one submit the blog link. I don’t find any submission link here. @Depanjan You can also collaborate with anybody from different state. 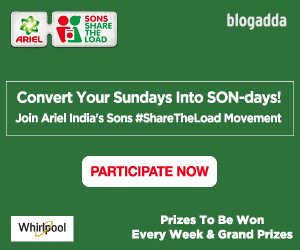 Hello BlogAdda team…plz help me find someone to collaborate with for this challenge.